Deep fried what?! Uh-huh. A decadent cookie-doughnut so sinfully easy to make it requires hardly any effort at all. That could be a good or bad thing depending on how you look at it, yes? Treats like this take me back to state fairs I frequented each summer with friends and family alike. My sister and I shared a humongous turkey leg, maybe a corndog, and possibly a funnel cake depending on which rides we had yet to try. I have to admit, I’m not much of a sweet tooth myself but I can’t resist to share this with you since I know many adventurous foodies alike would probably be willing to try these at least once…or twice…or three times. They’re just addicting like that. 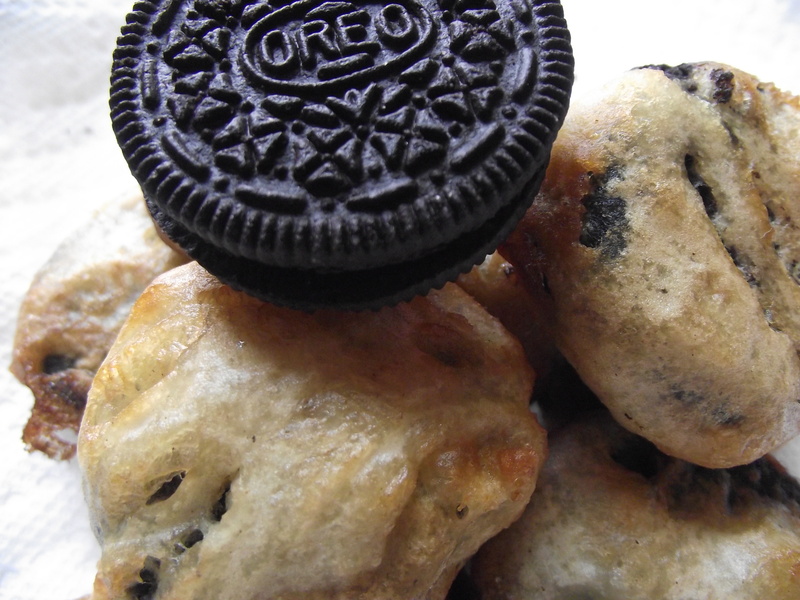 Step 1: In a deep pot, heat enough oil to fully submerge an Oreo cookie. Step 2: While waiting for the oil to heat, make the funnel cake batter according to the directions on the box. or pail. Step 3: Before coating the cookies, make sure the oil is has reached the right temperature. 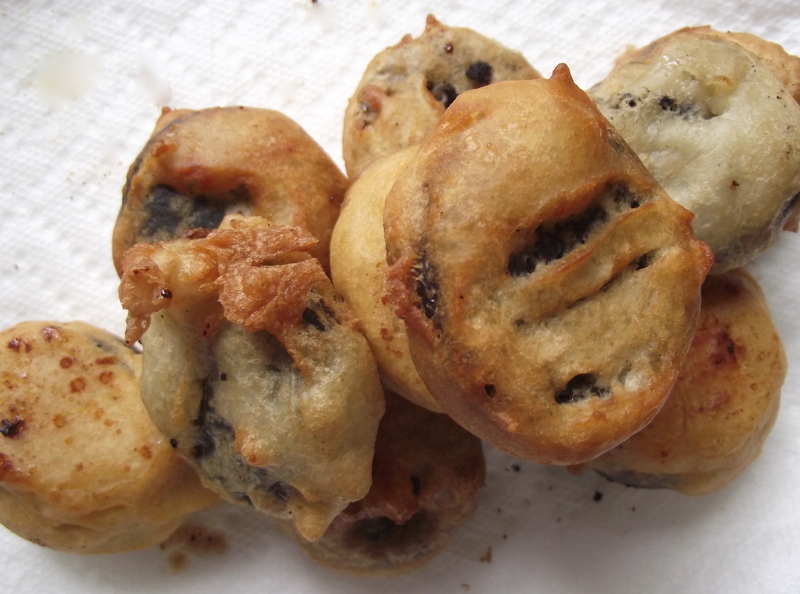 I usually do a quick test by dropping dollop of batter into the oil. If it browns too quickly, it’s too hot and if it sinks to the bottom with no bubbles, the oil is not quite ready. You’ll know the oil is ready when you see bubbles and the test batter floats to the top after a few seconds, showing a golden brown color. Fish it out quick! It’ll continue to cook for a few more minutes out of the pot. 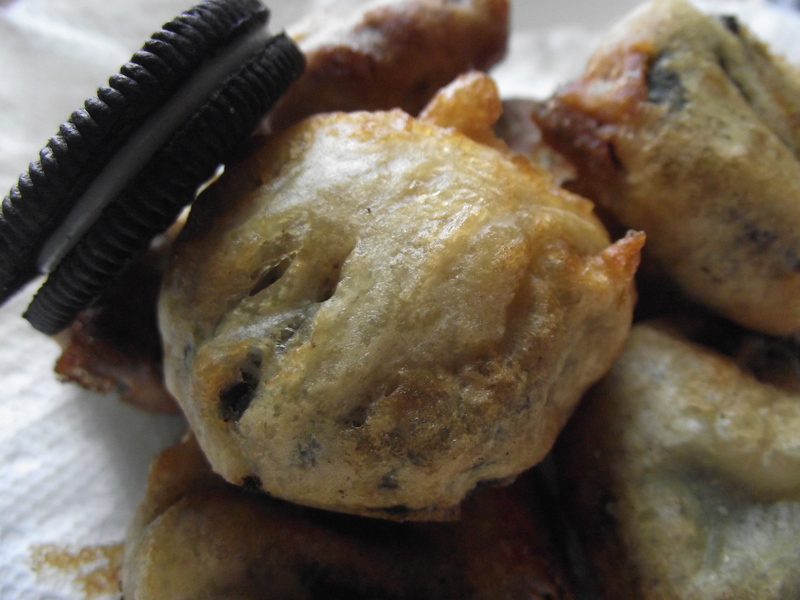 Step 4: Dunk the Oreo into the batter and give it a good coating. Step 5: Immediately after the dunking, gently drop the cookie into the oil. Be careful of oil spatters! I would only do 3-4 cookies at a time since they do cook fast. 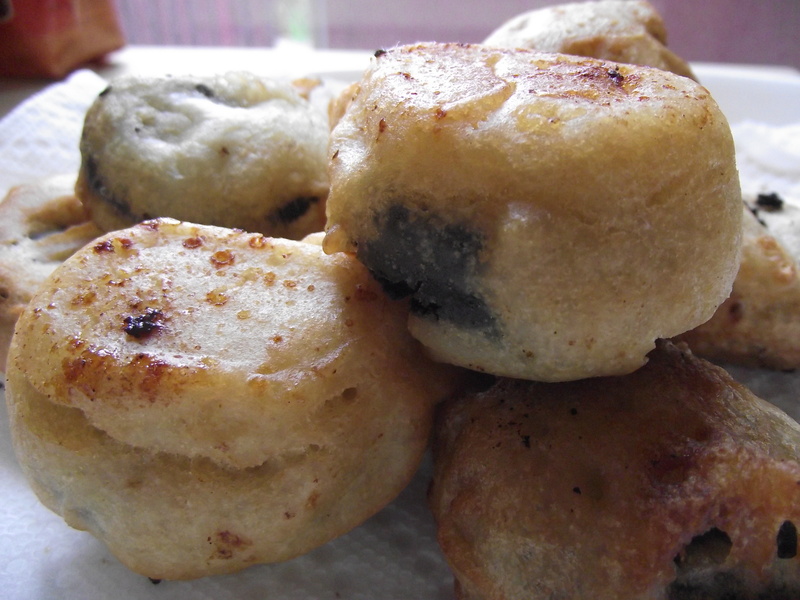 The batter usually takes only 3 minutes to fry. Step 6: When the batter looks golden brown, use a slotted spoon to scoop it out and place on a paper towel-lined plate. Wait until cool enough to dig in your chompers! Got a big glass of milk? Oh, it’s over! Forget about it. Yum. Glaze it with a simple sugar glaze coating for an extra decadent treat..oh my my my. 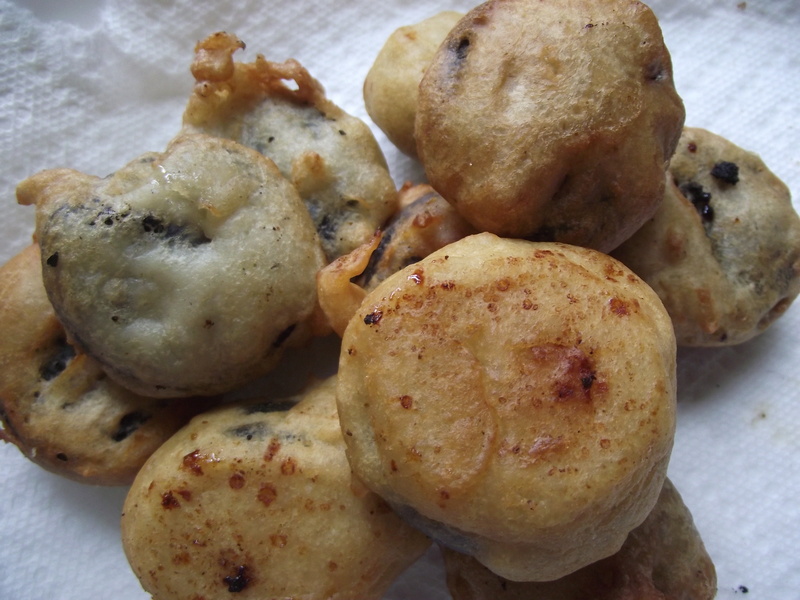 Many thanks to F. for this recipe and for subsequent enthusiastic ideas on other goodies to deep fry. I keep them close to my heart.